Founded in 1901 as one of the American League’s original eight charter franchise, the Boston Red Sox is a member club of the American League East Division. To date, the Red Sox has won eight World Series Championships. In their most recent efforts, the Red Sox managed a record of 93-69 in 2017 along with several nods. These included six American League All-Stars, AL Cy Young Award winner Rick Porcello and the runner-up for the Most Valuable Player Award, Mookie Betts. Riding on this wave of success, the Red Sox are already performing quite well in the latest season. The upcoming games of the 2018 season promise to be even more intense. Grab your Boston Red Sox tickets to enjoy this team’s journey through the 2018 MLB season. Boston is on the hunt to add another World Series Trophy to their impressive start to the 2000's, which includes rings in 2004, 2007, and 2013. With Red Sox tickets in high demand, Boston will look to keep their recent success going by bringing home another championship. The New York Yankeess and the Tampa Bay Rays will fight to stand in the way of their pursuit. Keep up with the Red Sox schedule to plan your next trip to Fenway Park to be a part of your team's championship run. Game 8 of 1912 - It was the first year of play at the Red Sox Home ground, Fenway Park. The game played on October 16, 1912, against the New York Giants and Hall of Famer Christy Mathewson was one Red Sox fans would remember. Hugh Bedient and Smoky Joe Wood held their ground against Mathewson, forcing the game to a 1-1 tie. During the top of the tenth, Larry Gardner hit a walk-off sac fly and the Red Sox won, not only the game, but also the World Series. The Statement Game - Back in 2004, a game played at Fenway Park on July 24 between the Boston Red Sox and rivals New York Yankees, changed the narrative of this historic rivalry. Up till that point in the season, the Yankees were cruising through the series and had an eight and a half game lead over the Red Sox. They had beaten the Red Sox by 8-7, the night before. In the top of the third, Bronson Arroyo plunked Alex Rodriguez followed by the two players exchanging heated words. Before anyone could stop it, a full-scale brawl ensued. Even though both Rodriguez and Varitek were ejected, the Yankees and the Red Sox continued to throw figurative punches at each other throughout the evening. The intense game finally ended with an 11-10 victory for the Red Sox following Bill Mueller’s two-run walk off homer. The major rivalries of the Red Sox are against the New York Yankees and the Tampa Bay Rays. Boston Red Sox vs. New York Yankees - The two teams have competed in the MLB’s American League for more than a 100 seasons. The Red Sox-Yankees rivalry is considered one of the fiercest of all time. In 1919, Red Sox owner sold Babe Ruth to the Yankees. Following this sale, the Boston-based team did not win a World Series for another 86 years. It was referred by many as the Curse of the Bambino, which is also a very important aspect of the rivalry. In total, the two teams have met 2,208 times with the Yankees ahead. Boston Red Sox vs. Tampa Bay Rays - Even though the Tampa Bay Rays have been around for just 20 years, the rivalry between these two seems ages old. This rivalry has been focused on a series of memorable events for both teams, including several brawls. One of these brawls took place on August 29, 2000, as Gerald Williams charged the mound after being hit by a pitch by Red Sox’ Pedro Martinez. Another incident took place on May 5, 2002, when Nixon threw his bat at Rays’ pitcher Ryan Rupe, who had hit two of the Red Sox players earlier in the game. June 5, 2008, saw a similar brawl breaking out between James Shield of the Rays and Coco Crisp from the Red Sox. Over its long history, the Boston Red Sox has had quite a few talented players on its roster. Ted Williams was one of the legends that played from the Boston side. He was a 19-time All-Star and a Red Sox player for life. Known as The Splendid Splinter, he also won two AL MVPs. Williams was inducted into the Hall of Fame in 1966. Pedro Martinez is another big name for the Red Sox. He ranks highest among the Boston pitchers and put together two of his best pitching seasons in 1999 and 2000. Along with being a Hall of Famer, Martinez was a six time All-Star in Boston and won two Cy Young Awards. Roger Clemens The Rocket needs no introduction. He spent 13 productive years in Boston and managed to win three AL Cy Young Awards and five All-Stars. Clemens also won the AL MVP in 1986. Home since 1912, the Boston Red Sox play their home games at the iconic Fenway Park. With a notoriously fun stadium and passionate crowd, there's really no bad seat at Fenway Park. In the heart of Boston, this 38,000 seat stadium is a historic place to watch some baseball. Fans are given the opportunity to see the Green Monster up close and enjoy a classic Fenway Frank. With its rich history, a stadium like Fenway Park is on the bucket list for every sports fan. Sox tickets are your way in to being a part of one of America's greatest pastimes. And when it is a team with this much history, you might as well get their season tickets to not miss out on any action. Get these Red Sox season tickets and get ready to enjoy the most thrilling baseball games. The 2018 season promises to be more exhilarating than ever. With a series of games against the New York Yankees kicking things off this fall, you cannot afford to miss even a single game! There's nothing quite like Boston baseball. Our process for purchasing cheap Boston Red Sox tickets is simple and fast. There are so many online ticketing sites, that it can be hard for customers to find the right place to buy Boston Red Sox tickets at the cheapest price. At ScoreBig we think of our customers first and foremost. We offer daily deals for Boston Red Sox events, so our customers can get the best seats for the best prices. ScoreBig will always go above and beyond to offer the cheapest Boston Red Sox tickets on the market. The Boston Red Sox schedule above, displays all available events for 2019 and 2020. Once you find the event that you would like to go to, click the red “Get Tickets” button. It is located on the right-hand side of the event listing, it will take you to an Boston Red Sox event ticket page. ScoreBig's event ticket page will display all available Boston Red Sox tickets for that event. On the event ticket page to help with your search for the right Boston Red Sox tickets, use the filters at the top to select quantity, price range, and more. There is also an interactive seating chart so you can pick where you want to sit. When you are ready to buy a ticket, click on the listing, and you will be directed to ScoreBig's checkout page. Upon completion of the information fields, your order will be processed and your Boston Red Sox tickets will be delivered via email, mail, or to your mobile device. What makes ScoreBig’s site stand out from the rest? We are constantly analyzing our competitors to improve our site, service, and prices. ScoreBig.com employees strive to offer the best process and experience to buy cheap Boston Red Sox tickets. Our goal is to get you the best seats to Boston Red Sox events. We offer daily discounts on our site and for special promotions check out our newsletter. If there are no Boston Red Sox events currently available, you can use our search feature at the top of the page to see a list of all popular events going on near you. No matter your price point, we have all the best deals and discounts on Boston Red Sox tickets. For more information on prices of Boston Red Sox tickets and the schedule for Boston Red Sox, check out our listings above. The last thing you want to find out is when the Boston Red Sox event you wanted to go to is sold-out. Don’t worry in many cases ScoreBig has affordable tickets to sold out events. We sell tickets from GA all the way to premium seating and parking. Skip the scalpers in the parking lot and get your tickets online from top Boston Red Sox ticket brokers. We get you in all events, buy your Boston Red Sox tickets here from a brand that many trust and rely on for all their ticketing needs. ScoreBig offers a 100% money-back guarantee. If you have been in search of cheap tickets for Boston Red Sox, ScoreBig by far is the best option. That’s why ScoreBig has more loyal customers than any other ticketing site. 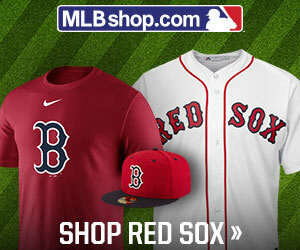 Shop at ScoreBig for safe and secure Boston Red Sox event tickets.